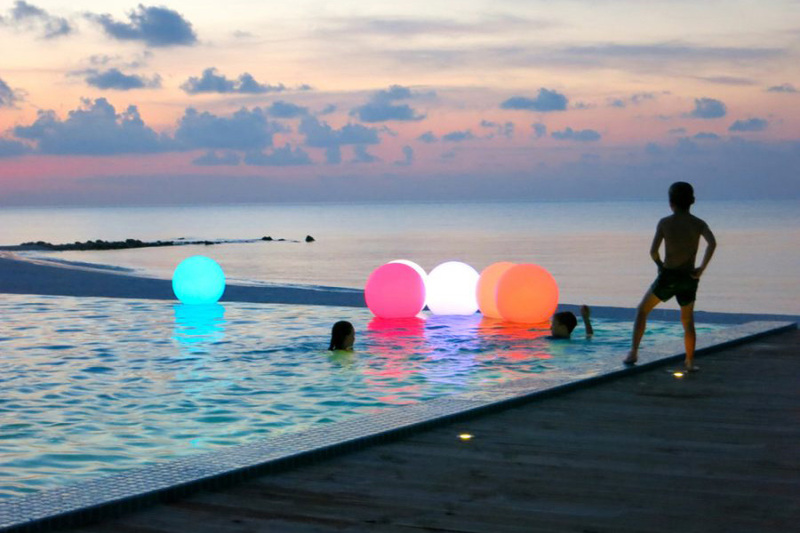 Typically known as a honeymoon destination the Maldives is a fabulous destination to visit with children. When it came to deciding on whether the Maldives would work for our family holiday with an 8, 10 and 18 year old I spent too much time pondering whether the Maldives was right for us. The Maldives has traditionally been known as a honeymoon destination – white sandy beaches, crystal clear waters full of marine life and lazy days soaking up the sun but is becoming more popular with families as islands become more accessible and provide more in terms of activity and childcare for children. Liking more activity based holidays, the question I kept asking myself was, is the chilled atmosphere that these remote islands in the Indian Ocean offer just going to be too quiet with not enough to do. The year before we considered it but decided on the Seychelles and had an amazing island adventure. 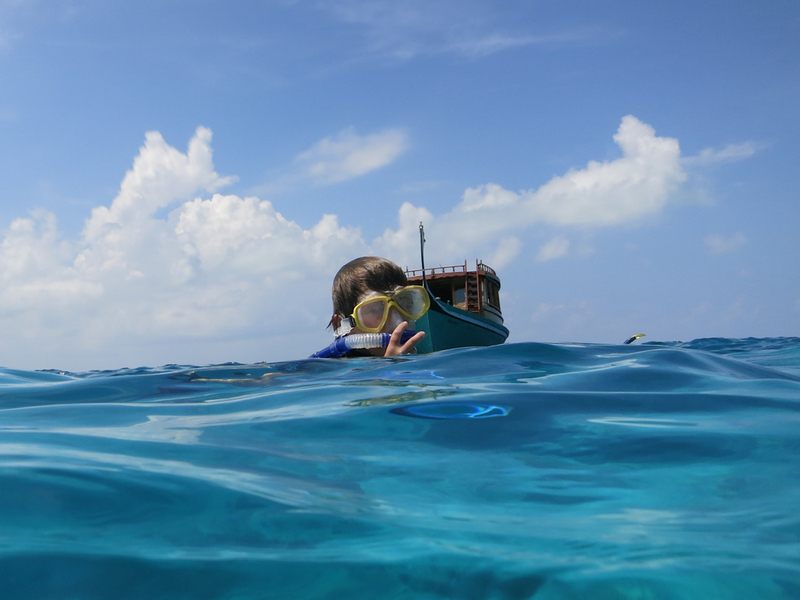 I should not of spent the time worrying whether two active/sporty boys would be bored along with a husband who loves adventure – they still talk about our Maldives holiday being one of the best holidays ever. Choosing the right island in the Maldives for a holiday is key depending on what the family is looking for. For us, we had the perfect combination of activity and adventure from taking the seaplane transfer to reach our remote island, sailing a Hobie cat, kayaking, water skiing, sunset fishing and the daily boat trips to different reefs for the best snorkeling experiences we have ever had – and I learn’t to dive on the Great Barrier Reef! 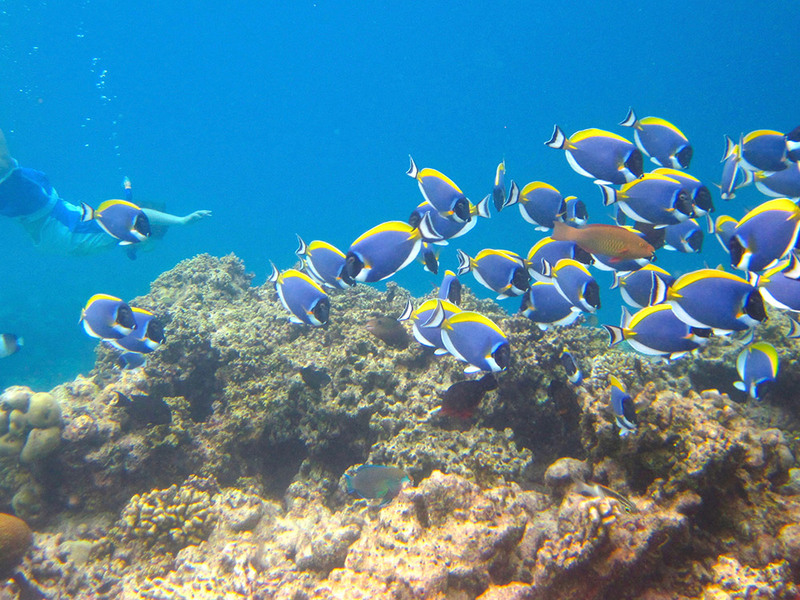 The marine life in the Maldives was out of this world and everyday we saw something different (turtles, clown fish, eels, lion fish, reef sharks and an abundance of colourful fish). There really was no need put on an oxygen tank. Not forgetting the manta rays that greeted us each morning as we made our way out on the Maldivian dhow to the reefs, to chill time by the pool / on the beach, hermit crab racing and the fabulous meals in the over water restaurant, dining on the beach with amazing sunsets, the outdoor bathrooms and the lovely friends we met. 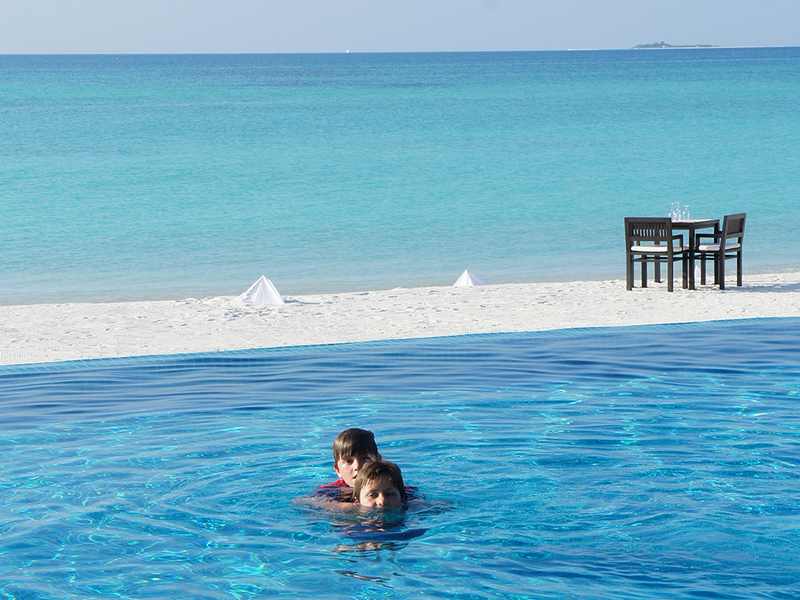 Helen Thomas, Founder, Luxury Travel Studio based in Ascot, travelled to the Maldives with her family last year.